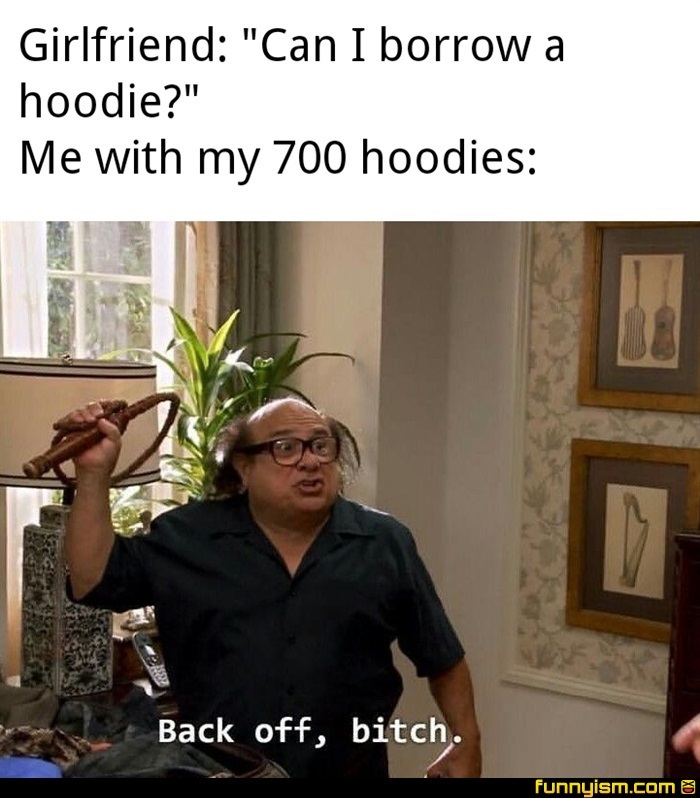 I have 999 hoodies, cause my b!tch took one. Sure, if you sign this paper saying you’ll return it immediately if we break up. I wanna like this meme because i laughed. But it's at 69, so by law i have to just come back later when someone with a stronger will than I can break through.